makes it easier and faster to understand and meet customer needs. Using the SalesNOW service solution, enable your service and support teams to quickly resolve customer issues and deliver a quality customer experience that builds loyal, profitable customer relationships. Quickly locate resolutions to problems, build in automatic workflow, notifications and escalations and get robust dashboards and reports that tell you if issues are being resolved in a timely manner. Based on the Case Type and Sub Type, define expected completion date and time of the case based on the creation date and time of the case. Define whether weekends are to be included or excluded in the expected completion date. 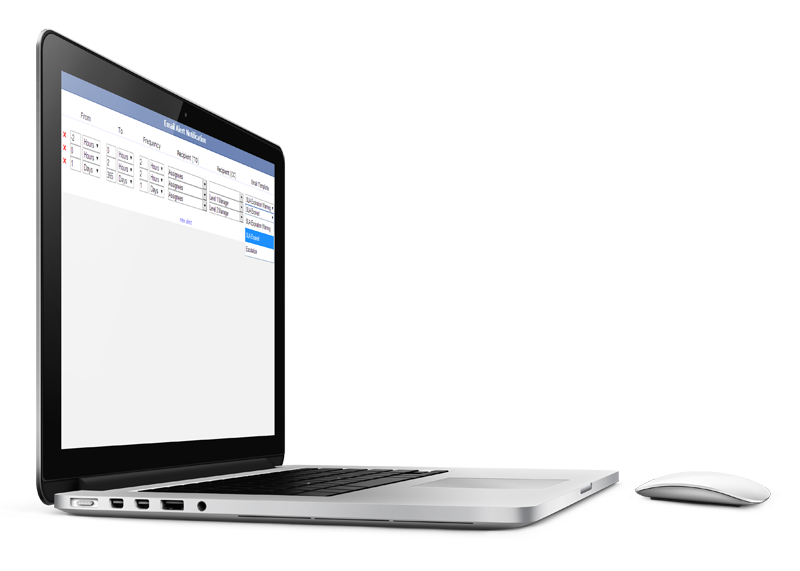 Define email alerts and notifications to customers and for management and escalation purposes. Deliver on time service. Quickly search your SalesNOW real time knowledge base for relevant answers. Upon creating and categorizing a case and assigning a case to a support person, the case will be managed through the predefined case workflow. 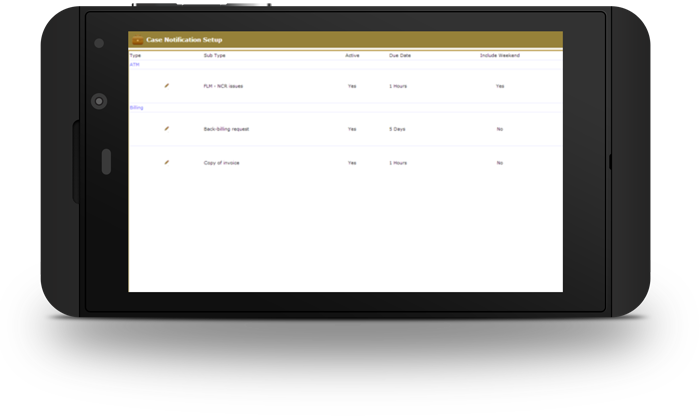 Cases will be assigned a unique case number and will be monitored based on the expected due date based on the predefined workflow. Cases will be color-coded yellow and red if not closed in the predefined timeline. Based on the workflow definitions, automated email notification can be sent to your customer on both opening and closing their case. These email notification templates can be created in multiple languages, and based on the selected language, the appropriate email will be sent to your customer. 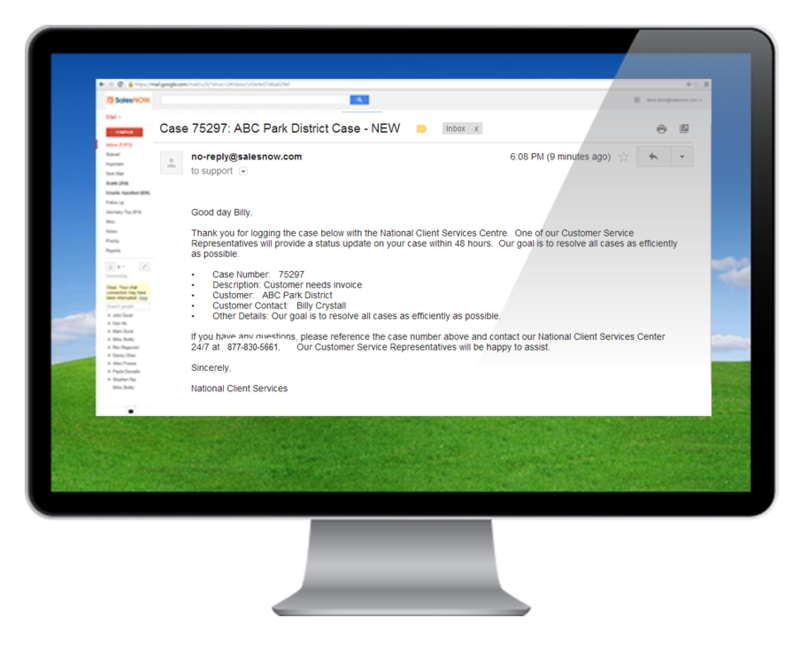 Email notifications with predefined email templates can be sent to various groups if the case is at risk of not being closed in time or if the case has missed the due date. SalesNOW tracks the full audit history of all cases, allowing the SalesNOW user and manager to monitor the details and progress of all of the cases. SalesNOW’s case reporting and dashboards provide you with real-time information to track responsiveness and time to resolution across accounts, teams, and departments, common customer problems and root causes, and overall customer satisfaction.